Freshman Olivia Lauter is a girl who enjoys many different things. Olivia joined LeopardLife her eighth grade year as the photo editor after she loved the photography class at Willow Springs. She decided she loved newspaper so much that she wanted to continue it going into high school, so she joined The Red Ledger. 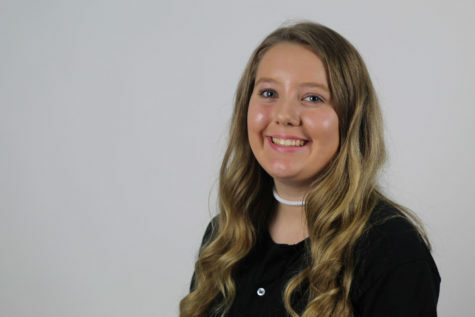 Olivia has enjoyed the friendships she gained from newspaper in the past, and is looking forward to making new friends as she starts her journey on The Red Ledger. She also cheers for Lovejoy on the freshmen team and competitively at Alliance Cheer Elite. She is also a lover of all things musical, as she plays three instruments–piano, guitar, and ukulele, she loves singing, and she is also a part of choir. Olivia loves binge watching her favorite shows when she's not busy and rewatching the same movies repeatedly. She may seem like a shy person when you first meet her, but once you get to know her, she comes out of her shell and becomes an outgoing and loving person. Olivia is super excited to be a photographer on The Red Ledger staff this year and for her high school experience.